Winter is here. It’s the time of year when I seem to add pounds to my frame just by looking at food. 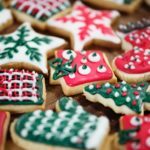 Add to that the fact that the holiday season is upon us, with delicious foods that are usually only prepared around this time of year, coupled with a little bit of stress, and my fat reserves are preparing to do their job as nature intended. So what’s a girl (or anyone who can relate) to do? I’m not talking about standing on one foot while seeing how many treats I can shovel into my mouth (though that might be an interesting topic of discussion at a family gathering). I’m talking about eating a balanced diet. What exactly is a “balanced” diet? “Fruits and vegetables, no sugar, no carbs, no sweets…” Right? According to the Office of Disease Prevention and Health Promotion, the USDA Dietary Guidelines for a balanced diet include eating your fruits and veggies, whole grains, low-fat dairy, lean protein, and healthy oils, while limiting saturated fats, trans fats, sugars, and sodium (salt). Yup. We’ve heard that before. Strictly following these dietary guidelines usually leads me (and a lot of other people) down the path of temptation, at the end of which is a scrumdilly-icous pizza or a box of candy or both. Lots of fat, salt, sugar, and I’m sure a lot of other awful things. And then we’re supposed to feel guilty about giving into that temptation. But, you know what? I don’t. And neither should you. Here’s something to consider. What if a “balanced” diet doesn’t mean restricting yourself in terms of what you can eat. What if a “balanced” diet means changing how you eat and eating right MOST of the time and “balancing” the healthy stuff with the (ahem) less-than-healthy stuff. I don’t mean like 60% nutrient-dense food (filled with the vitamins and minerals and other good stuff your body needs) and 40% crap (no explanation needed). I mean like 90% nutrient-dense food and 10% crap. It means that, along with all of the good nutrient-dense foods you are supposed to eat, you can add a few “guilty pleasures” along the way. I will admit that the extra physical activity, including walking to and from my kitchen, probably helped spare some of my calorie in/out balance; however, I still ended up with a kitchen devoid of food and had to spend more money than necessary to replenish the goods that were consumed while trying to satisfy my insatiable longing for just one kind of food. Think about it. Most people will probably not be able to maintain a strict diet every day for their entire life, without “cheating.” (Some may, but… that would be quite a task and we know you have better things to do with your time and brain power than continually plan on what you are going to eat and in what portions.) And “cheating” is such an ugly word. If you micro-manage your eating to the point of placing a ton of restrictions on your diet, then you will transform your mindset from a place of happiness and having a good relationship with food into a place of lacking and a distorted relationship with food. And neither lacking nor distortion are good for anyone’s mindset. Or waistline. Have you ever tried to diet? What happens? You think of all of the wonderful things you can not eat. And what does that do to you? Does it make you wish and want for those things even more? Do you feel like a kid that’s being punished? My goodness, this is the holiday season, people! No one wants to be the proverbial kid in the corner. We need to eat some of that delicious goodness! Just keep in mind that you don’t need to eat ALL of that delicious goodness in one sitting or even one day. Spread it out so you maintain your calorie in/calorie out balance. Here’s an example. 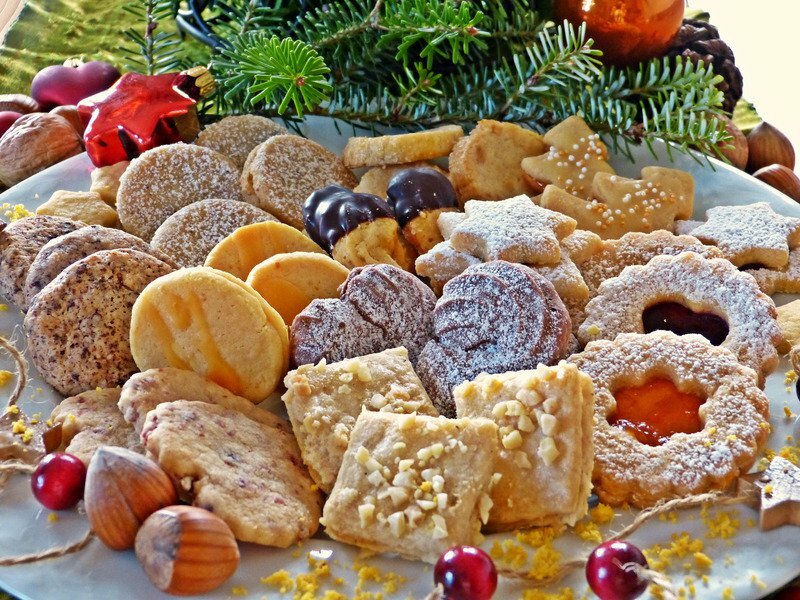 Instead of eating a dozen cookies in one day (please don’t judge me for my past indiscretions), you could spread them out and have one cookie for twelve days, which would get you almost halfway through the next month. Or even two cookies over a week. Seriously, it’s way easier to manage a calorie in/out balance when you’re accounting for only one or two cookies a day, versus a dozen. The best part is, when you allow yourself to indulge, using a 90/10 guideline, you will feel like a happier and healthier version of yourself. You will be on the road to developing a new relationship with food while eating those foods you like. No guilt and no “cheating” on yourself or sabotaging your balanced diet. That said, what better time than now to start practicing a little bit of self indulgence with some slight discretion, so “eat better” can be checked off your list of resolutions BEFORE the new year even starts? Are you in? Awesome! There’s tips about applying the 90/10 guideline and how to continue finding balance, coming up in the next blog, Find Balance in Your “Balanced” Diet – Part 2.